Foliage TypeLong, deeply lobed and dissected foliage. Dark green with a coppery red to purple cast. Red-purple stems. 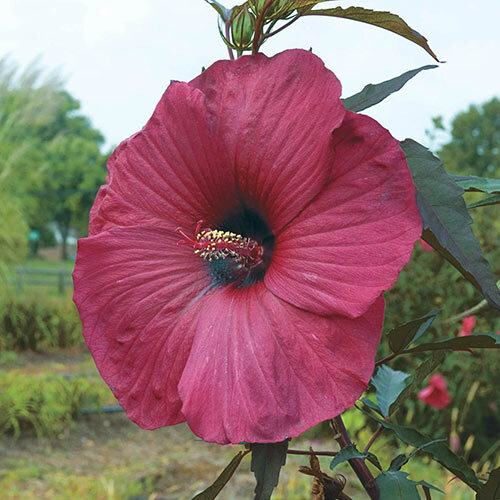 Flower FormLarge, 8 - 12" diameter blooms that are open saucer-shaped with overlapping petals. Prominent pistil and stamen centers. Winter CareImportant to mulch for the first winter until plants are established in their new home. Remove the following spring before new growth starts. 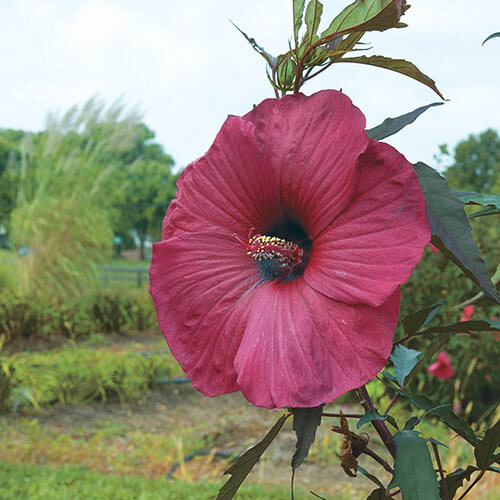 Additional InformationHibiscus are late to arrive in spring. Don't give up, they love to wait until the ground temperatures are nice and warm before appearing in late spring. They grow rapidly, making up for lost time quickly. Planting InstructionsFull sun for best flowering.